I have for many years heard E talk about the delights of 100% design and how I should go to the show with her. Each time I have said something along the lines of ‘oh that’s nice’ and gone back to my day. Well, now the shoe is on the other foot! Thursday and Friday night were spent sampling the delights of not only the big 100% design trade show, but also of the highlights of the London Design Festival on a splendid guided tour of the Shoreditch Design Triangle. A thousand thanks to Tony H – great tour! There were so many places we visited and that must only have been a fraction of what was on display over last week. I wish I had more time to visit more, but you can’t do everything. I’m not going to list every gallery we went to on here (and as a note to myself – the list is stapled in my notebook!) but as a proper reflective diary should, I will offer my reflections on what I saw. First though, some photos! and a few more photos…. Rather impressive aren’t they? Apologies for not crediting all of the designers individually, but they are all amazing – photos were taken at the shows at 100% design, Minimalux, Lee Broom, Gallery Fumi (Jeremy Wintrebert) and Tord Boontje. Who on earth buys this stuff, and how expensive it is all?? Notice also the wood + stitching trends – I really like this combination of techniques. Must try something along these lines. 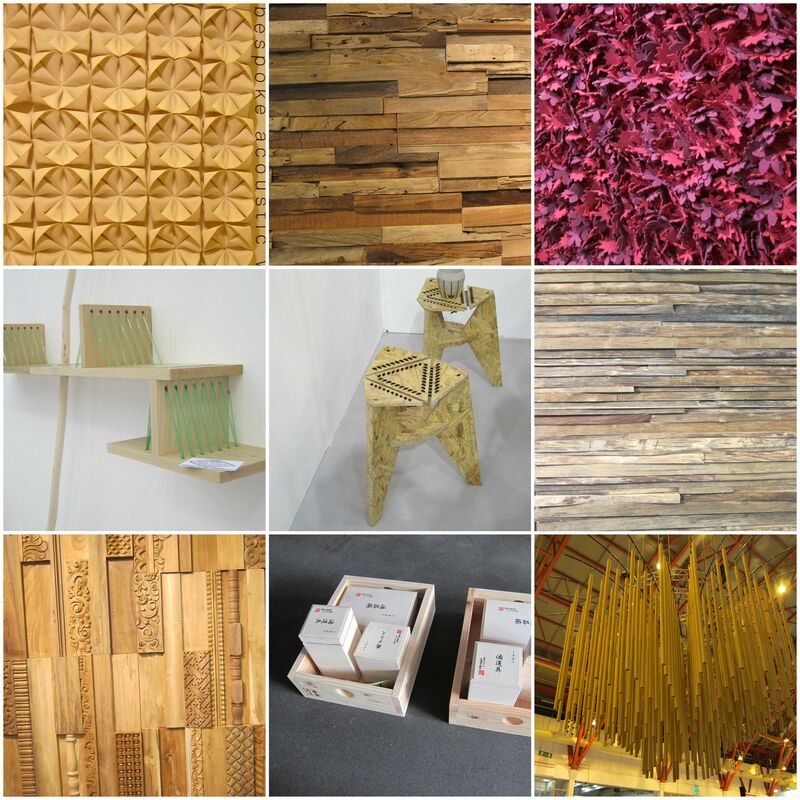 Sustainability seemed to be a big thing, with reclaimed and recycled materials appearing everywhere from wood made into walls, to demin made into ceramics or paper made into shelves. 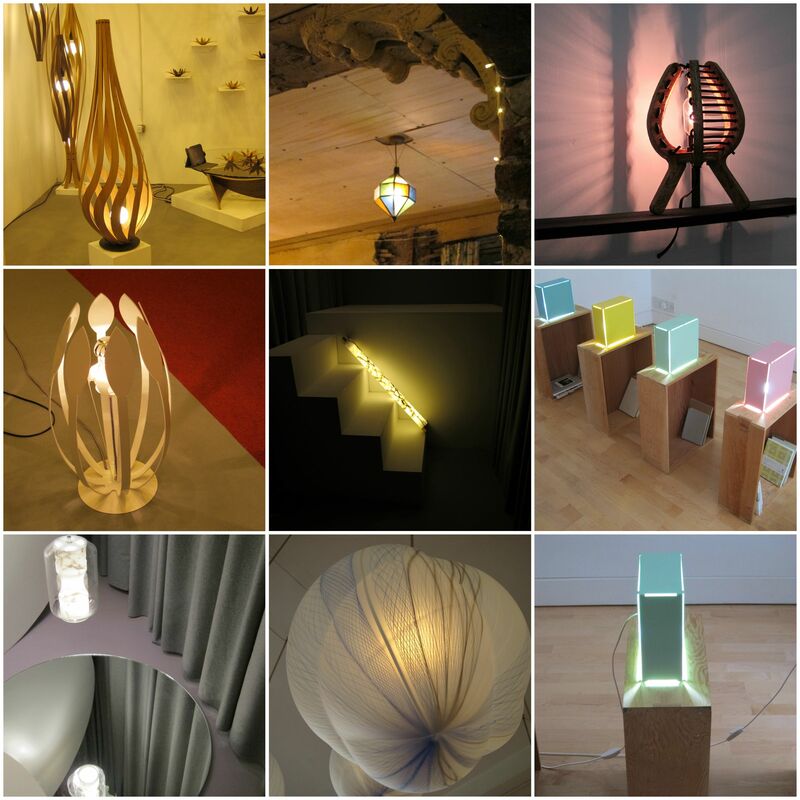 Interesting – from my perspective the unconventional use of one material to make another. Many ideas to add to the to-do list! 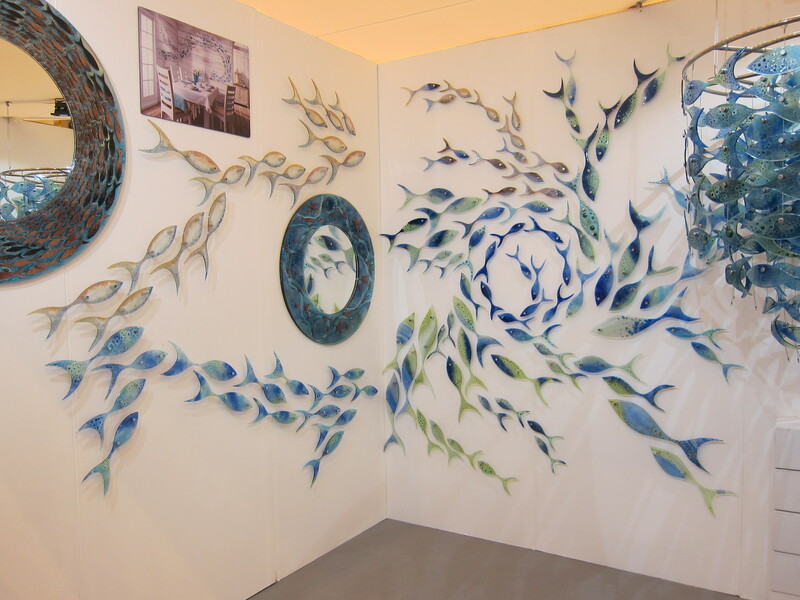 This entry was posted in 04.2 Exhibitions and tagged 100% design, London design festival on 20 September,2014 by antalbot.